Fresh for 2012, the Subaru Impreza dutifully performs all the tasks expected of a compact car but does so with the traction enhancing abilities of all-wheel drive. Impressively, the Impreza's all-weather excellence doesn't come with a major fuel economy penalty, as indicated by its peak highway number of 36 mpg. Subarus and the pacific northwest, the best option for Washington. Subaru's AWD system is amazing. Living in the paw, both Subaru I have had have never left me stranded in the snow or ice or slush. The performance was also a major consideration when buying. I wanted something on the cheaper with but still had some ponies so the sti was an easy choice. I've had my fair share of mechanical problems, but with 130000 miles it just comes with the territory of getting a car you'll love forever. Car facts. Drives good and good on gas, great mileage. Engine and oil change, keep air in tires and size of the car, four door, and price of car from dealership, color and interior and exterior, the way the car drives and mileage. The sound of car and look also feel of car. Good headlights and brake lights. I like the looks, the all wheel drive, and the performance parts of the vehicle. I do not like the high amount of vehicle maintenance that is required yearly. 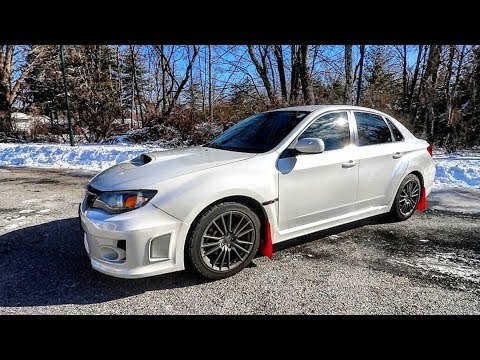 2012 Subaru WRX REVIEW: The BEST Year-Round Sports Car?